If you think of lighting as just a basic utility, you better start thinking differently. While inadequate lighting might be the quickest solution, it will cost you in lost revenue. Most of us don’t notice lighting it until it’s done badly, which is when it negatively impacts your sales and customer experience. 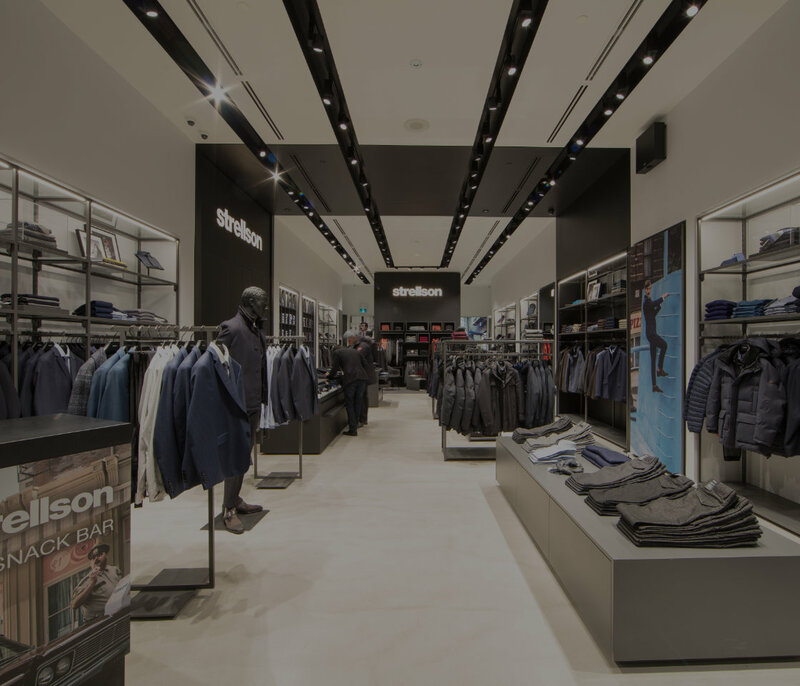 Lighting needs to be helpful and not harmful, which makes it as much of a strategic business decision as determining your store layout and space planning. It’s not only invaluable to helping customers find what they’re looking for, but also to their comfort while shopping. It matters for your employees’ comfort, too – nobody wants to be constantly squinting in a too-dark or overly-bright room! In every place you’re showing product, the higher the colour rendering index (CRI) of your lighting, the better. Colours will appear more vivid, which makes all the difference between your products looking appealing to the eye, or drab and ignorable. Colour temperature effects your ambiance – colder temps feel more clinical and bright, while warmer temps feel more homey and inviting. Now let us enlighten you – find your major retail category below and read on to learn about lighting best practices for your industry. You know that ambiance is essential to the dining experience, and lighting plays a huge part in that – it really is the first impression a restaurant makes. Even before your patrons walk through the door, they’re browsing their dinner options online and walking by your space. Before diners taste the food or even hear the music you’ve chosen, the illumination of your space will either set the right mood, or totally turn them off. Warm light is key to creating a relaxing atmosphere for patrons. Whatever the reason your customers are dining out, they’re there to socialize and they want to look good in soft lighting that flatters them and isn’t too harsh. This includes your bathroom lighting – so they don’t see a pale ghost staring back at them in the mirror! Another lighting mistake made by food, beverage, and hospitality businesses is taking decorative lighting way too far. Too many lights clutter your space and can actually cancel out the effect of your general lighting. When it comes to selling cosmetics, you also want to use lighting to help your customers to feel attractive – you need bright lights to help customers see the makeup they’re trying on, and decide which product is right for them. It’s why beauty professionals are obsessed with ring lighting, which provides even coverage and the astounding ability to make any face glow with radiance. Before they even get to the try-on stage, you want lighting to help draw customers’ eyes around the store to encourage browsing. This is also true for pharmacy stores where there are hundreds of products that need to be well-lit to be seen, especially when customers are inspecting medication packaging. However, when setting up task lighting in your store, it is important to not overlight the area. Overstimulating your customers’ vision isn’t just confusing, it makes products so bright they’re actually painful to look at. Not the effect you want to have! As with space planning, the right lighting is key from the moment customers approach your entry. Pull them in with dynamic window lighting, and guide them through the decompression zone and around your store with a mixture of light fixtures in different “zones” that will leave a lasting impression. You want quality lighting that will help customers look their best. Fitting rooms must be well lit so customers feel good about the clothes they’re trying on. You’ll have more specific needs depending on the category of your business. For example, jewelry stores require finely-tuned lighting in their display cases to make their products sparkle, with varying colour temperatures – warm or cool tones – depending on whether the displays hold gold, silver, diamonds, or gemstones. This industry is definitely tuned into the fact that lighting makes a big impact on presentation, which in turn affects sales. Shoppers will only think that food tastes good, if it looks good. Grocery stores were once associated with massive overhead fluorescent lights – until the industry realized it wasn’t flattering their food. Now, rather than covering stores in a big blanket of light, the new approach is to organize lighting like products – in “zones” that focus both ambient and accent lighting on making food look as appealing as possible. This is another instance where planning a range of colour temperatures will show different products in their best light. The right lighting even helps keep food fresh longer, which means longer shelf life and less waste. Now that we’ve painted the general picture of what you should know about lighting your store, we can look more specifically at lighting as part of a larger in-store strategy for your retail business and your brand – accent lighting, how it drives sales, and how lighting affects your budget. If you’re eager to get started with sprucing up your store lighting, walk through your competitors’ stores and see how they’re lighting their products. Before you start purchasing new lighting fixtures, we can help you test different lighting strategies in your own store so you make the right choice for your needs and budget. Give us a call at 905-264-0917 or contact us.